Used mainly for maintenance and construction work on residential and construction sites. Light and easy to handle, these full width towers dismantle for easy transporting and are a stable and safe platform to stand on to perform various tasks at height. Perfect for painters, electricians or for any task that requires working at heights. Transport available from $77.00 each way. 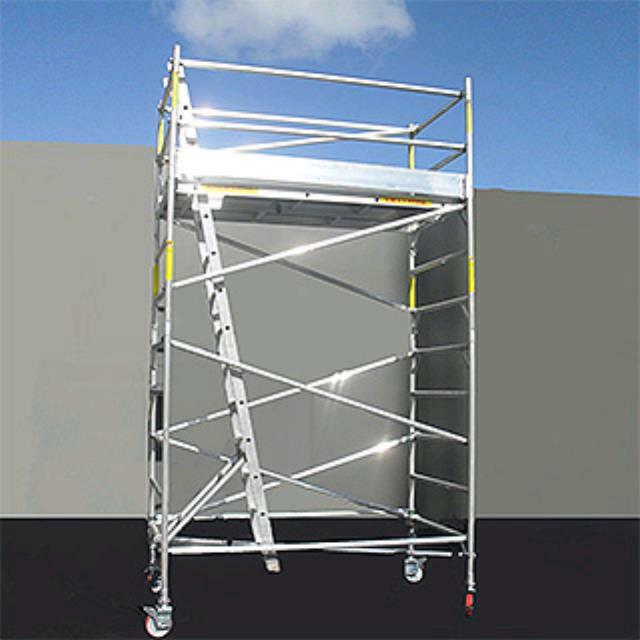 * Please call us for any questions on our mbl scaff kit 6.0mtr f/w hire & rentals, serving Perth & Western Australia.